Continuing on the .Net series on this blog, today let's talk some best practices. One programming data type that developers use (and should!) a lot are Enums. Enums are simple and when well utilized, they simplify the development making your code cleaner. In .Net, Enums exist in the System.Enum namespace. In this post we assume you know and work with enums already. if not, check this link out for a nice introduction. But, a common question is: how to show relevant labels on UI elements that are associated to enums? There's different answers for that question that depend on which context your code is running. 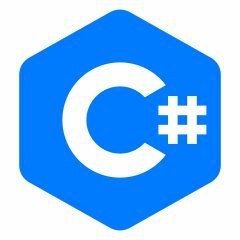 In this post we'll examine how to do it in C# in a console app - but it could be your backend, a windows service, a library, etc. The tip do do this the right way is making use of the DescriptionAttribute available on the System.ComponentModel.DescriptionAttribute namespace. From the above code you can see that I added some descriptions to the attribute's constructor. That's exactly what that attribute is for. But how do we access it? On this post you learned how to use the DescriptionAttribute class to decorate your enums with nice contextual descriptions, you also learned how to extend your entities to use it with a simple demo console application. Remember that this technique can be used everywhere. Use your creativity! The source for this post is available on GitHub.